Description: Nineteen-year-old Claire Pearson knows she needs a life. And some new friends. Cover: I’m not sure what it is supposed to tell me, but oh well. Review: This is one of the best books I have read. There are so many characters in it and every last one of them is well written and just really likeable. 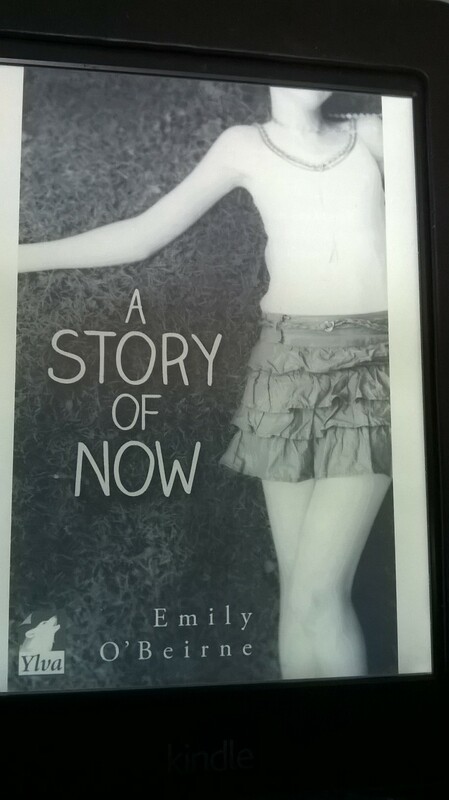 The way ‘A story of Now’ is written made me feel as if I was experiencing everything that happend myself instead of reading about it. While it is a really cute story it stays realistic. Not everything in life is love, peace and harmony. It will be published on July, 10th, you can preorder or buy it after the release date here. I want to add some triggers: There is slight talk about body images and a lot of alcohol; just a heads up. I got it as an ARC via NetGalley in exchange for a honest review. Thank you.